Hi Everyone! Today I have a mixed media canvas to share with you. Starting with an unprimed, raw 9" x 9" canvas, I sketched a face lightly with charcoal to get the placement down. I AM SOOOO EXCITED for today's post! 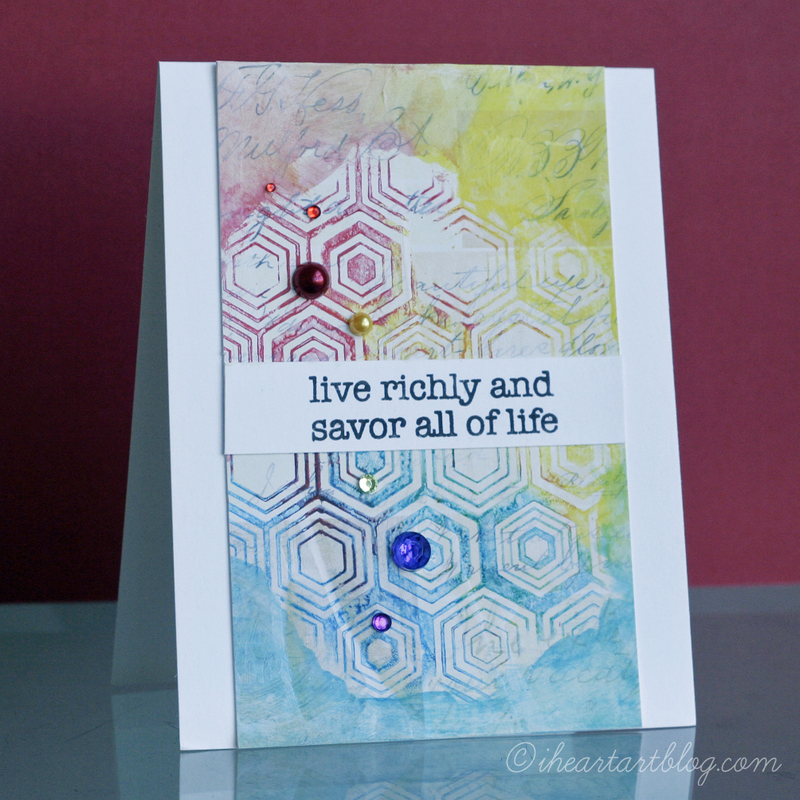 Today, I have another Splitcoaststampers.com Mix-Ability Challenge post to share with you! These challenges are designed to introduce mixed-media in a fun and approachable way! You can keep it easy or go a bit further outside your comfort zone, it's UP TO YOU! I am playing Challenge Hostess for MIX7, Splatter-ific. I'm challenging everyone to incorporate a Splatter Technique into your project! Please go visit the MIX7 Challenge Forum and Gallery, play along, and upload your project using keyword "MIX7". Hi everyone! It’s Katie with my last post for Design Memory Craft as part of their guest design team. Soon you will get to see projects from the new guest design team who I’m sure will have some amazing projects to inspire you with! Does it take you a long time to edit photos from your vacation? We always take lots of them! Once we got prints from our latest trip to San Francisco I thought about framing some. This is a city we keep going back. We always come home so relaxed and inspired. This last time we made it to the Palace of Fine Arts. A beautiful structure surrounded by magical gardens! I gathered a simple frame and some Faber Castell materials at the studio and ended up with this colorful frame. Hi everyone, it's Anita and today I want to share a layout with you. I only had two small photos of my girls from this Easter (this was pre-digital era) so I wanted to use a lot of color and texture, but not neccesarily a ton of "stuff" that would overshadow my photos. I started by using Gelatos® to color modeling creme and applied it to my background paper using a stencil. April 'Take the Challenge' Winners! Congratulations to the following winners! Please email your color choices to naoko@fabercastell.com. Thanks! 1. I love how you used the envelopes, Mou. I save them all the time and then forget to use them in my projects. Thanks for the inspiration. It's that time again...time for another SUPER FUN SUPER EASY Mix-Ability Challenge over at Splitcoaststampers.com! Mix6 challenges us to use Gesso on our background! I used the new BIG tubs of medium from Faber-Castell Design Memory Craft, Gelatos, a Stamper's Big Brush Pen, and stamps from Hero Arts. Tiffany Johnson is a hard-working mother and wife whose creativity & sense of humor shine in her paper crafting projects, in her clever video tutorials, and on her blog "iheartartblog.com". Tiffany also designs for Sizzix, Lawn Fawn, and CupCards To Go. Hello, Katie here! You may have noticed that the majority of my guest posts for Design Memory Craft have been Spring inspired. I just love this time of the year! I have a garden in my backyard with pots filled with vegetables and I wanted to try decorating a flower pot. Color Your World with Gelatos. Swarup here , with my last post as Faber Castell Design Memory Craft Guest Designer. That feels so strange to write, because it feels like just yesterday that I started my term here and it's already 4 months! But as they say all good things must come to an end! ....and I don't think I can do without Gelatos!